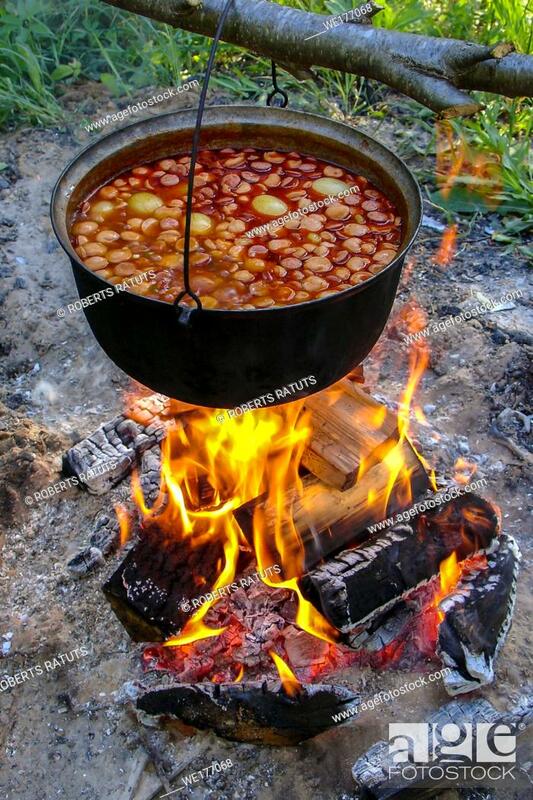 Foto de stock - Cooking soup in cast iron boiler on burning campfire. Pot with soup over the open fire outdoors. Tourism in Latvia. Soup cooking on the fire outdoor for camping trip.